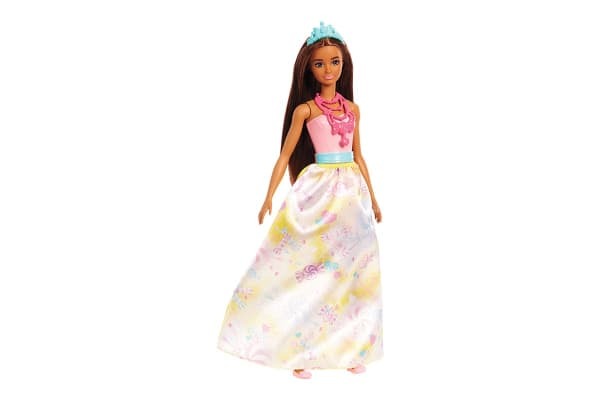 Imaginations can find all sorts of adventures with the Barbie Fairytale Princess (Assorted), because you wake up to a world where dreams become reality! 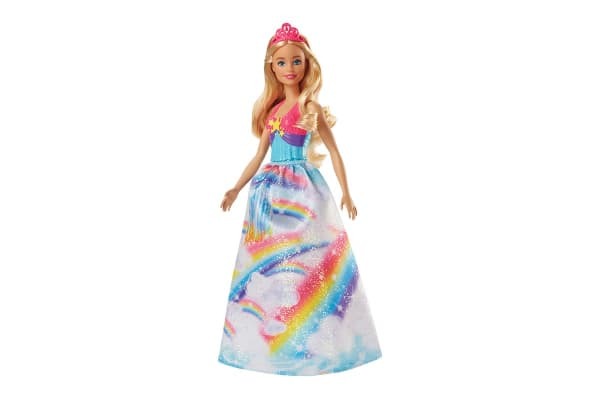 The Barbie Fairytale Princess (Assorted) doll wears a colourful outfit with a decorated bodice and a skirt with a print that takes cues from her home kingdom. 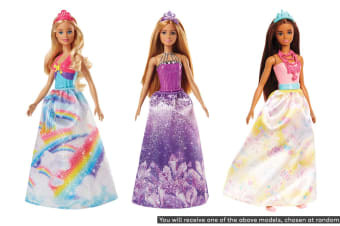 A unique tiara and matching shoes complete each look.